Among Remington rifles, Custom Shop products have long enjoyed a solid reputation, though the quality control has declined in recent years. Remington is looking to return its Custom division to the glory days. 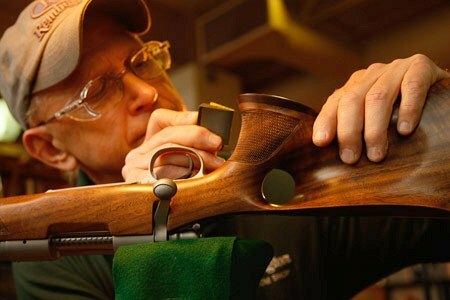 As part of that effort, Remington has produced a dedicated Custom Shop website: www.remingtoncustom.com. On the Remington Custom Shop website visitors can browse through series of highly-specialized rifles and shotguns: Hunter Series, Target/Tactical, Historical, Rimfire, 40-X™ Series and High Grade. Within each series, the user can click on a specific model for an overview, features, specifications and images of the selected firearm of interest. The Custom Shop Showcase features high-quality photos illustrating the hand craftsmanship that goes into premium Custom shop arms. Share the post "Check Out Remington Custom Shop Website"
Can you mount the Sendero SF 7mm mag action on the Bell & Carlson Medalist Tacital stock? I heard Tim Butler is or has left the Remington Custom Shop. Has a replacement been anounced? Tim was a shot in the arm to that Department a few years ago. It will be intersting to see who replaces him and what direction the Custom Shop really goes in. Remington and it’s parent company has aquired Dakota and Neseika it will be interesting to see how the customs fair in todays economy. 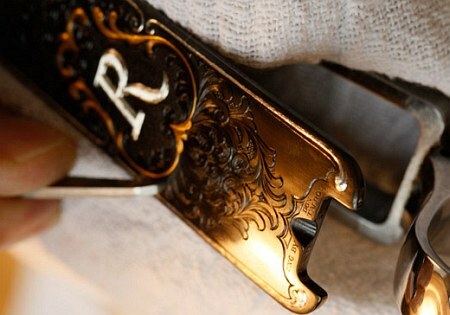 Remington Custom Shop…funny. I guess you can call it a custom shop since they offer basic engraving and fancy stocks, but I can think of 5 gunsmiths including myself off the top of my head that I wold rather have build a rifle. In two words, WAY OVERPRICED! ranch. Would it be wise to cut down the barrel of my300 Savage Remington pump…if so to what length ? What would you charge? I need a new stock for my Rem 40XB in 7.60 MM. Would I have to send you the barreled action, or could you just send me the new stock and I could have it installed and glass bedded here. Also, what about your composite stocks for this rifle. It is the repeater/target model with the heavy barrel and is fit with a magazine. I use it in competition and want to get it back on line. Thank you in advance for your answer. Are all Remington firearms & parts manufactored in the Uninted States of America?